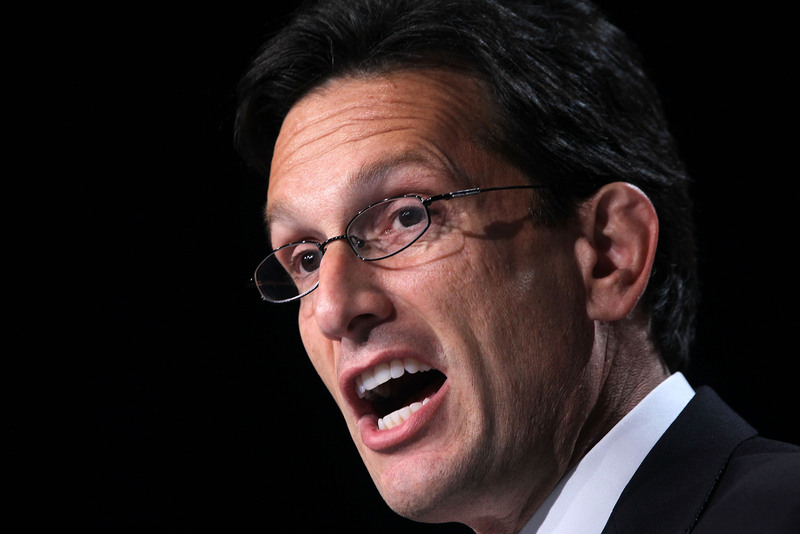 If you hadn't heard of Eric Cantor before, you have now. In the biggest primary drama in years, GOP House Minority Leader Eric Cantor lost his primary Tuesday, bringing his tenure in Congress and long-standing role in party leadership to an abrupt and stunning end. It's not the end of his efforts, though it well could be — he could still try to run a write-in campaign against victorious rival GOPer GOPer David Brat and Democratic nominee Jack Trammell. But Cantor can't take the easier route of running as an independent, thanks to Virginia elections law which contains legal provisions against "sore loser" candidacies. A Cantor write-in campaign would earn him little goodwill from his GOP colleagues, as the Virginia Democratic party would be licking their lips at the thought of a Cantor write-in run splitting the conservative vote, opening the door for the relative Democratic unknown Trammell to seize Virginia's seventh congressional district seat. Considering further that he's already planning to step down as House Minority Leader at the end of July... things aren't looking so hot in Cantorville, let's say. This is a phenomenon that usually isn't able to unseat heavy, war-chest bearing incumbents, but Cantor's high-profile role in party leadership contributed to his defeat. Brat, faced with a long-odds underdog candidacy, focused all his efforts on being in Virginia, talking to Virginians, milking the absolute most he could out of limited resources... while Cantor was otherwise preoccupied with the many duties of his leadership position. Since you really can't complain about spoilers more than a year old, Cantor would've been wise to follow Frank Underwood's example in season one of House of Cards: with an upstart primary challenger gaining steam, it might be best to head home and nip the situation in the bud. For what it's worth, the gut-punch feeling Cantor must have felt as the final results trickled in is something that the last Republican presidential nominee could sympathize with. In the political post-mortem of Tuesday's shocking upset, a big similarity between the Romney campaign of 2012 and the Cantor campaign of 2014 was laid bare — their woefully inaccurate internal polls, which falsely lured their respective candidates into the belief that a win was on the horizon. Internal polls have shown something of a propensity for this sort of deception, and that makes sense — campaigns may operate with a somewhat rosier view of things that a cold, detached third-party polling firm might, and those biases can be reflected in the resulting polls. An internal survey the Cantor campaign released just weeks ago claimed a staggering 34-point lead over the little-known David Brat. Come election day, we got to see what that poll's true margin of error was: 46 points, since Brat defeated Cantor by 56-44 percent. In short, until the GOP can get their internal polling game in order — or candidates start realizing such numbers aren't to be implicitly trusted — expect more nasty shocks like the one Cantor suffered. What do we mean by "worse things?" Try a staggering $168,637 of campaign money spent at steakhouses since the beginning of last year, compared to just $200,000 Brat's campaign spent altogether over the same period. While Cantor had a huge money advantage, and he knew it, he didn't get much bang for that buck. The steakhouse figure shouldn't have mattered in the end, with Cantor's financial supremacy so thorough — he had over $5 million in funds, compared to Brat's sub-$300,000 — but it's representative of the lack of seriousness with which the Cantor campaign seemed to view this primary challenge. It's easy to sympathize in that regard, as nobody would have expected him to lose; no House Minority Leader had lost a primary in the entire history of the job, dating back to 1899. In the end, Cantor didn't even empty the full-force of his war chest, ostensibly because a campaign full of bogusly optimistic polling numbers convinced him he didn't need to. In other words, Cantor's eyes were elsewhere, while Brat zeroed in on his one and only goal. As pointed out by Bustle last night, the road to immigration reform in the Congress has never been an especially realistic one. At least for long as the Republican Party remains in control of one house of Congress, and stays so hostile to the idea, which they have for quite some time now — remember back when Marco Rubio was the hottest-ticket presidential hopeful in their 2016 field? In short, being seen as playing ball with the administration or congressional Democrats on immigration is a surefire way to whip up red-hot opposition from the most conservative corners of the Republican Party. Cantor didn't actually accomplish all that much in that capacity, and a reform vote seemed distant as it ever was, with or without him. But now his chance to wheel and deal is all but done, and his willingness to bend against his party's far-right orthodoxy is, in some part, to blame.